Do you feel like you could fill an entire notebook with all the plumbers you use? Each plumber has his or her own specialty, so you know you have to call one person for toilets and another for hot water heaters. To make matters worse, you still haven’t found a good specialist for sewer line repairs. You don’t want to spend your entire life keeping your plumbers straight, so it’s time to turn to JD’s Plumbing Service. Our Thornton plumbers are experts in all types of residential and commercial plumbing. From quick and easy fixture installations to extensive plumbing remodels, we are the right choice for all your plumbing jobs. Once you switch to us, we are the only number you’ll need to call. This is just a small list of the services we offer. We feel confident that our Thornton plumbers can handle all your plumbing needs. If you don’t see your service on the list, just contact us. You’ll be amazed by how much we can do. Some Thornton plumbers only treat the symptoms of the issue. That means the problem isn’t really fixed, and they’ll have to come out to your home to look at the same problem again. We fix problems for the long term, so we always treat the cause. In order to find the cause, we have to diagnose the issue. Our Thornton plumbers are trained to use the latest equipment and technology to find the source of plumbing problems. They can find issues that others might miss due to their extensive training. Finding the issue is the first step. Once it’s discovered, they can get down to business and come up with a solution. We strive to find the most affordable option for our customers while still going with something that works. For instance, if your hot water heater is broken and we can repair it at an affordable cost, that’s what we will do. However, if the repair is cost prohibitive, we will go over replacement options with you. 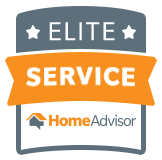 We want what is best for our customers each and every time, and our recommendations illustrate that. When you use JD’s Plumbing Service, you will see what a difference going with a local company makes. We are the opposite of a corporate plumbing company. We don’t have offices all around the country, and we don’t put millions of dollars into advertising. Instead, we spend our time and effort helping the people of Thornton with their plumbing issues. We are proud of our relationship with our customers, and we look forward to continuing to serve the people of Thornton. Our Thornton plumbers are ready to come to your home and help you. Regardless of your plumbing needs, we have the training necessary to get the job done. We don’t just work to satisfy you. We want to exceed your expectations in every aspect of the job. That includes price, performance, and professionalism. Contact us today so we can provide you with an estimate. We look forward to working with you.